Use of the terms "breakthrough" or "promising" in US Food and Drug Administration (FDA) press releases on new drugs may make the public think the drug is more effective than it actually is, hints a new study. 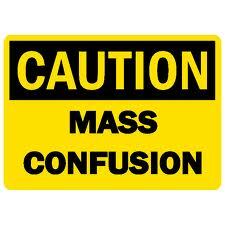 Experts not involved in the research believe that healthcare professionals are also likely to be misled. Medicare Part B premiums will be increasing by as much as half for a large group of beneficiaries in 2016 unless Congress acts before the end of the year -- which is far from certain. The projected increase -- from an average of about $105 per month to $159.30 -- occurs because in 2016, there will be no cost-of-living increase for Social Security recipients. People who get their Medicare premiums deducted from their Social Security checks -- about two-thirds of Medicare beneficiaries -- are protected by law from having their Medicare premiums increase any more than their Social Security benefits increase, so they won't have an increase in their Medicare premiums. In September of 2015 the Office of the Inspector General (OIG) of the Department of Health and Human Services, a federal agency, released a report highlighting its evaluation of chiropractic claims and questionable and inappropriate payments for chiropractic services. This article looks at the OIG’s statements regarding chiropractic errors. "Chiropractors treat patients for problems of the musculoskeletal and nervous systems…” states the OIG. “However, Medicare limits coverage of chiropractic services to manual manipulation treatments to treat subluxation of the spine, which is the dislocation of one or more spinal bones." Even though the threshold for “maintenance therapy” is defined by “further clinical improvement,” the OIG states “we determined that 20 services per beneficiary was the threshold for this measure. We identified as an outlier any chiropractor whose average number of paid claims per beneficiary exceeded the threshold.” The OIG has arbitrarily and not based upon scientific evidence nor review of medical necessity, determined that “when chiropractic care extends beyond 12 treatments in a year it becomes increasingly likely that individual services are medically unnecessary.” They use this unscientific standard when determining “questionable treatment." In September of 2015 the Office of the Inspector General (OIG) of the Department of Health and Human Services, a federal agency, released a report highlighting its evaluation of chiropractic claims and questionable and inappropriate payments for chiropractic services. 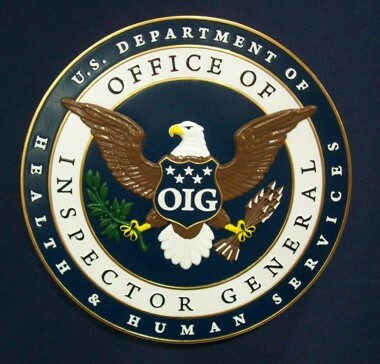 This article looks at why the OIG undertook the study. The OIG is concerned that some 7000 out out of nearly 45,500 doctors of chiropractic nationwide are billing for maintenance therapy. The OIG defines this as being more than 12 visits per year rather than by any actual medical necessity. Stated another way, the OIG is concerned that more than 7000 DCs see some of their patients more than 12 times in a year. In September of 2015 the Office of the Inspector General (OIG) of the Department of Health and Human Services, a federal agency, released a report highlighting its evaluation of chiropractic claims and questionable and inappropriate payments for chiropractic services. 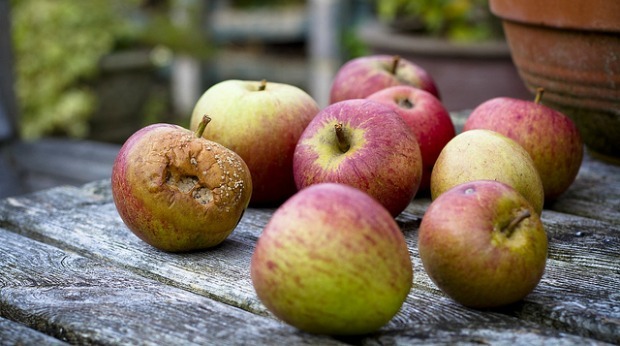 This article looks at the findings of the OIG study reporting the “bad apples” of the chiropractic profession. "In 2013, $76 million in Medicare payments for chiropractic services were questionable. … just 2 percent of chiropractors were responsible for half of the questionable payments. These chiropractors provided more services to more beneficiaries compared to all other chiropractors and were located in high-fraud areas. … most of these chiropractors also had questionable payments in a prior year." Just who are these 2% that are giving the rest of the profession a bad name? The OIG report provides some insight. “In 2013, 962 of the 45,490 chiropractors paid by Medicare received $38 million of the $76 million in questionable payments.” That is some $39,500 per chiropractor per year. “These 962 chiropractors … received 9 percent ($43.6 million) of all Medicare payments for chiropractic services in 2013.” That is over $45,300 per chiropractor per year. Says the OIG “we identified 87 percent of their payments as questionable."